The High Court has dismissed a legal challenge that called for three MPs to vacate their spots in Marsiling-Yew Tee GRC, and for a by-election to be held. 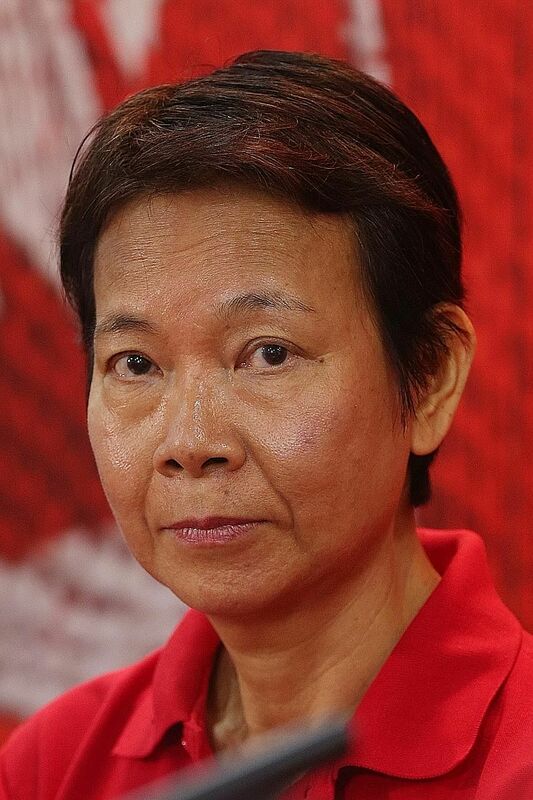 Singapore Democratic Party (SDP) assistant treasurer Wong Souk Yee had made the application to the High Court after Madam Halimah Yacob resigned as an MP from the constituency to run in last September's presidential election. Speaking after the ruling, SDP chairman Paul Tambyah said SDP is "very disappointed" with the ruling. The party will study the judgment and consult Dr Wong and lawyer Peter Low on whether to appeal. In his ruling yesterday, Justice Chua Lee Ming said there is no legal provision for sitting MPs to be compelled to leave their seats, when one spot in their GRC is vacated. He disagreed with Mr Low's claim that there is inconsistency between the Constitution and Section 24(2A) of the Parliamentary Elections Act. Mr Low argued that if a by-election is not called, the Parliamentary Elections Act should be interpreted such that all MPs of the GRC have to leave their spots when one seat is left empty, or when no remaining MP is a minority candidate. SDP assistant treasurer Wong Souk Yee, a resident of the GRC, was ordered to pay the State costs of $10,764.35. He cited Article 49(1) of the Constitution, which states that when "the seat of a member... has become vacant for any reason other than a dissolution of Parliament, the vacancy shall be filled by election". But the judge, who heard the application in January, rejected Mr Low's reading of Article 49(1). The Constitution does spell out - in Article 46(2) - the circumstances under which a seat becomes vacant, and none of them applies to the remaining MPs in Marsiling-Yew Tee GRC, he noted. These circumstances include an MP giving up his Singapore citizenship or leaving the political party he represented at the election. Justice Chua concluded that there is no legal basis to require the other MPs in the GRC to vacate their seats, adding that there is no inconsistency in the law. "The applicant's argument is simply that because Article 49(1) has triggered a by-election in the present case, the remaining MPs must vacate their seats by resigning because otherwise a by-election cannot be held. In my view, this is a circuitous argument," he noted. He also disagreed with Mr Low's view that a by-election must be held as voters have lost their right to be represented. It is the GRC team that represents the GRC, he said, and voters continue to be represented by the team, "albeit comprising one MP less". The ruling preserves the legal status quo, which requires by-elections when single seats are vacated, but not when one MP in a GRC leaves the seat. In a GRC, by-elections are required only when all MPs vacate their seats. This is the first time a legal challenge has been mounted to determine whether a by-election is mandatory when a seat has been vacated in a GRC. A previous challenge in 2012 involved a single seat. The three remaining MPs in Marsiling-Yew Tee GRC are National Development Minister Lawrence Wong, Mr Ong Teng Koon and Mr Alex Yam. MP Zaqy Mohamad from the nearby Chua Chu Kang GRC has taken on the role of grassroots adviser to the ward Madam Halimah had served in. The PAP-held GRC was contested by SDP in the last General Election in 2015. PAP got 68.7 per cent of the vote against SDP's 31.3 per cent. Although SDP pulled out of the legal challenge last November when the Attorney-General argued it had no standing in the issue, Dr Wong, who is a resident of the GRC, remained as sole plaintiff. Yesterday, the court also ordered Dr Wong to pay the State costs of $10,764.35. Dr Wong was not in court for the ruling. Dr Tambyah and SDP secretary-general Chee Soon Juan were present.